I have a mature, dependable attitude to work, and can be trusted to do what I say and say what I mean. I always welcome any opportunity to add to my skills so would be happy...Read moreI have a mature, dependable attitude to work, and can be trusted to do what I say and say what I mean. I always welcome any opportunity to add to my skills so would be happy to train for any position. 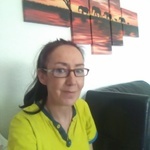 I have been working as a virtual assistant for nearly a year and most of the work I do is based around web research and data entry, I am currently on-line most of the day/evening as I'm either working on a project or I'm job searching, so can be available as needed. Qualifications include City and Guilds in typing and office practice, English and business studies, I have good computer skills, including using the internet efficiently. I have experience using Microsoft office including word and excel. I wont accept anything less than the best from myself and gain satisfaction from knowing I have done something well. I am a very quick learner, adding to my knowledge is important to me.